Tartu is the second largest city in Estonia with population of 96 811 (12 Sept 2017). Tartu is considered the intellectual centre of the country. The city is home for the University of Tartu, which is one of the oldest in North Europe and Baltic States. In addition, 6 other higher education institutions operate in Tartu. Students come to Tartu from all around the world (around 50 countries in 2017), it makes Tartu a popular destination, where to study. Many students see Estonia as a good residence to stay after studies. That is why Tartu should prepare to integrate them into social processes, in purpose learn how they see Estonia and their perspectives here. Also, residents with different cultural and labour backgrounds, their family members and refugees, have found a habitat in Tartu. There are several employers in Tartu who are ready to hire people of other nationalities, be it in a science, IT, industry or other fields. 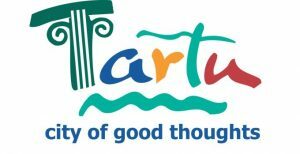 Tartu City Government is very intrested to cooperate closely with entrepreneurs, research institutions, non-profit organizations and communities to work together to create a better and safer living environment.